In Ontario, we generally don’t think of ourselves as a maritime province. And it’s true: we might not have lobsters and whales and sea air, but we do have 10,000 km of Great Lakes shoreline, and access to a marine highway in the Great Lakes-St. Lawrence that connects the North American industrial heartland to any market around the world. Our maritime character is an advantage of geography that perhaps we have come to take for granted; but in doing so we are missing out on its benefits, especially the economic prosperity it can deliver. 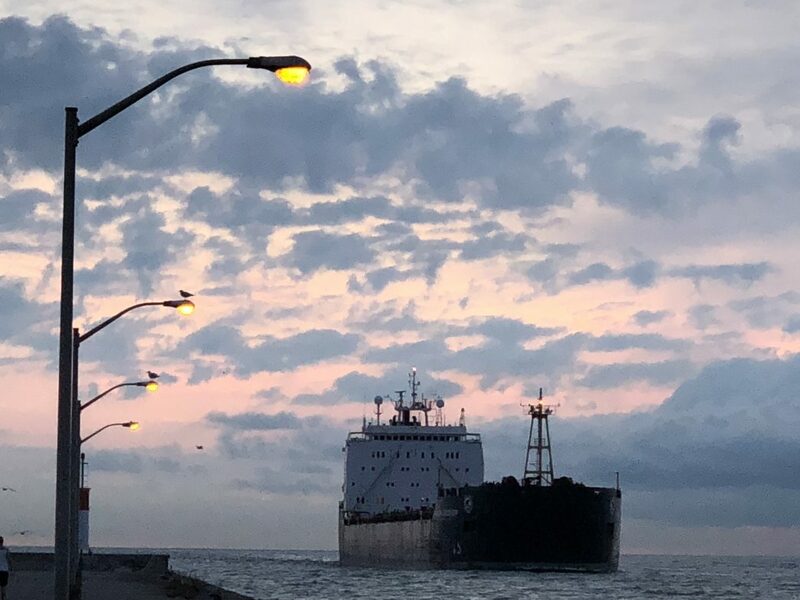 Few communities are as well positioned to take advantage of Ontario’s maritime opportunity as the Hamilton-Niagara Region, which functions as an essential trade gateway. At the Port of Hamilton, we’ve been working to leverage a valuable combination of strategic location, transportation infrastructure and industrial land on Hamilton’s working waterfront, successfully attracting more than $350 million in investment in the past decade, supporting 2,100 on-site jobs, and handling goods connected to a further 38,000 jobs in Ontario. We see opportunity to extend this positive momentum throughout the region. Within the Hamilton-Niagara gateway, and throughout southern Ontario, there are marine infrastructure assets that are unconnected and underutilized. By beginning to see these assets as part of an integrated network, we can start to explore innovative ideas that serve our growing region. For example, we should be thinking of how to use marine waterways to reduce congestion on our clogged highways, by consolidating truck traffic onto short-sea shipping alternatives, or by staging construction materials for urban waterfront development projects elsewhere in the region, and delivering those materials by barge on a just-in-time basis. At the same time, we need to ensure we are continuing to foster a positive environment for manufacturing, food processing and construction materials, sectors which are among our most valuable economic engines. As we have seen in Hamilton, there is enormous demand for transportation-intensive industrial land for these types of businesses, and one thing we could do right away is to unlock the valuable industrial land along the Welland Canal, and allow for the attraction of new industry and jobs to the region. In Québec, they have recognized the value and potential of that province’s maritime sector. In 2016, Québec launched the province’s first maritime strategy aiming to create 30,000 jobs. It recognizes that transportation infrastructure, especially maritime transport, promotes industrial development. Québec’s plan involves the development of logistics hubs connected to marine ports, and the creation of industrial port zones at these locations to support employment and investment. The Hamilton Port Authority is currently working with the Hamilton International Airport and the City of Hamilton to pursue a Foreign Trade Zone (FTZ) Point designation for the city. This is a designation the region of Niagara already possesses, and it makes sense for the two regions to collaborate in the future on this and other economic development initiatives. As Ontario’s largest port authority, it is part of our mandate and responsibility to facilitate trade in our region. We believe the best way to accomplish this is to begin to take a more regional perspective, and to tap into Ontario’s rich marine heritage to help deliver a prosperous future.